Great Green Cleaning - 10 Ways to Keep Safe from Bed Bugs! It’s true that Bed bugs are taking over New York. According to statistics 1 in 10 apartments has bed bugs. That’s a frightening amount of bugs. I recently had the displeasure of suffering through 6 months of bed bug infestation in my own personal residence. Like most landlords, mine wanted to save money and deny the magnitude of the problem. It could have been solved in 4 weeks (and I will tell you how in part 3, I promise) but this infestation took 6 months to clear up because of poor choices made by the landlord. Even though I have been helping my clients recover from their own bed bug infestations for the last 15 years, there’s nothing quite like going through the experience yourself to really help you understand the pain. Bed bugs can hitchhike on your back pack- or walk down the hall from your infested neighbor. It’s too easy to get them and difficult to get rid of them. There are a few simple precautions that every New Yorker should take to lower the likelihood of bringing bed bugs home. 1- When you are out, don’t put your bags and coat down low on a floor or a chair – if you can hang things up high – that’s better. Remind the children about this too. If they are rolling around low down – -inspect them when they get up. 2- If you stay at a hotel strip and check the bed. Keep your luggage in the tub while you find out if your room is safe. 3- It’s an epidemic and New Yorker’s are tough. After a social event or a movie, it’s acceptable for you and your friends to check each other before going home. 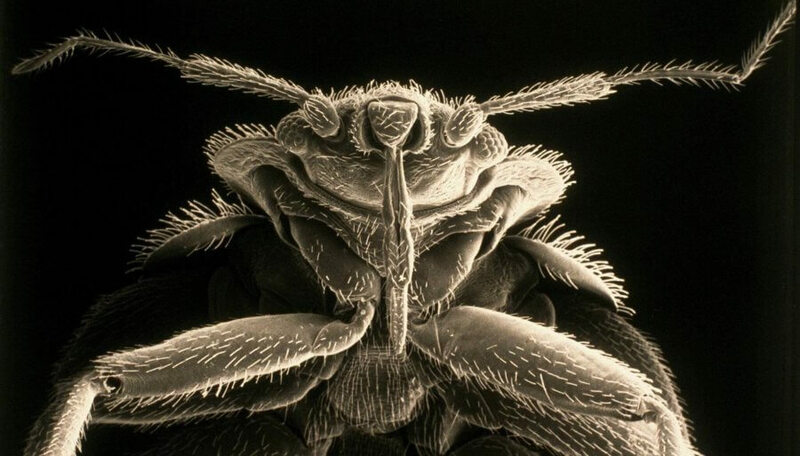 Bed Bugs are not microscopic – you can see them. They are small brown or black bugs that look like baby cockroaches. 4- At home, use Food grade Diatomaceous Earth ( DE ) powder in cracks and crevices – and inside the walls, open plugs and light switches – puff some powder inside the walls with a plastic hair treatment bottle and close it back up again. They crawl through the microscopic blades, lacerate their exoskeleton, dry up and dehydrate. Better them than you. By the way, DE is good for your pets- dust some in their fur and no more fleas and ticks. 5- Seal your apartment. Caulk or silicone all cracks and crevices you can see. Check baseboards. Check around heating pipes and radiators, and on the ceiling around pipes that go to your upstairs neighbor. Look under sinks where plumbing enters. This can keep Bed bugs from strolling across the hall from an infested neighbor just to have you for a snack. 6- Ecoraider! I love this product. It’s made from Cedar and Geranium and upsets the brain chemistry of the bed bugs. It has a very high kill rate ( same as pest control poison ) and is all natural and safe for people and pets. If you are as nervous as I am about getting bed bugs- Spraying Ecoraider in a perimeter around your home every 2 weeks is a smart precautionary measure. If any Bed Bugs come in to your environment, they are goners. You can order this great product on Amazon and watch some horrifying Youtube videos that show how well this product kills bed bugs. I have to admit I cheered a little. 7- Seal your mattress and boxspring in a high quality Bed Bug incasement. I did my pillows too. I like AllerEase Ultimate Protection and Comfort Waterproof, Bed Bug, Antimicrobial Zippered Mattress Protector – Vinyl Free & Hypoallergenic – 10 Year Warranty.. It was more expensive but very sturdy. It felt nice and the zipper was high quality with a flap seal so there was no open space for bugs to get in or out. The smart thing about this is, if you do get bed bugs they cant nest in your mattress or box spring. Spending $100 can save you the price of a new bed. 8- Move your bed away from the wall and tables. Just a few inches. Don’t make it easy for them to climb up and get to you. 9- Put bed bug traps under your bed legs. They are very inexpensive – you can get a good set for less than $20. If a bed bug does get in, and comes looking for a meal, this trap will stop them from climbing your bed legs and sucking your blood. You can check your traps each morning and sigh with relief when you find them empty. If you do find a bug – get the Ecoraider! 10- It’s a great time to get rid of clutter. Do you really need those jeans you wore in high school? It’s much easier to prevent an infestation if they don’t have a lot of places to hide. Think of it as a Zen opportunity to simplify your life. When we help people get rid of bed bugs, folks who have a lot of clutter spend at least 10 times as much money to prepare for the exterminator, Sometimes thousands of dollars, just for sorting, bagging and checking. You can prevent that, by streamlining now. Don’t sit up biting your nails tonight, and watching the crack under your bedroom door. I’m not saying that you are going to get bed bugs, but it has gotten pretty bad and there’s no sign that we’re wining. I believe if we work together smartly, we can keep our space safe and stop them from spreading so easily. We will take the time to answer your questions thoroughly and give you as much free information as you need, so you can rest easy tonight.